Oh the life of a bully. Always trying to make someone join their side. The belief being that there is strength in numbers. But those numbers always change because no bully wants to be second fiddle, they all want to be in charge. Then in no time at all being ‘over there’ is the exact same as it was ‘here.’ And now ‘here’ becomes the new ‘over there.’ Constantly racing, creating havoc, and just being down right miserable to everyone they come in contact with. I was trying to think of an example to use and I looked toward the animal world. Every winter, where the snow flies, we all wait to see our first robin. It is a sure sign of spring. I admit, I do smile when I see that first one… that is until a couple of days later when I’m knee deep in fresh snow. Why is that robin, lets call him Larry, in such a hurry to get ‘here?’ Why not just settle down ‘over there’ and come ‘here’ when you got your things in order. Oh no, Larry has to be the first one ‘here.’ Kind of an ego thing… making them feel important. The sad part is Larry never learns… in a race to get south before the snow falls… Larry lands in St. Pete, Florida… just a very happy robin. Then more birds come south and join him. At first, Larry likes the company but then the ego gets in his way and he starts bickering with the other birds. 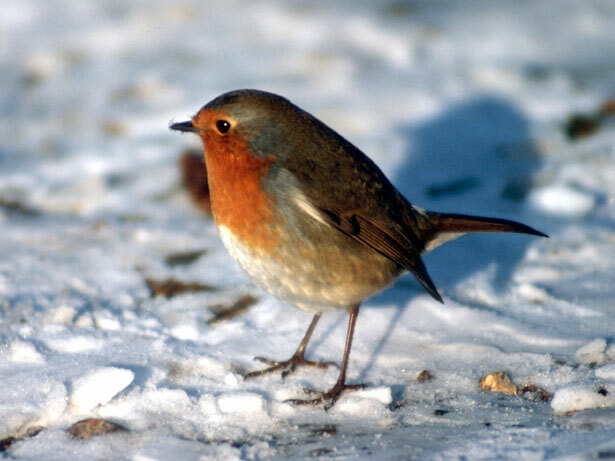 And all winter long, Larry tries to find someone who will listen to him, but most of the birds know his story because they have seen it before… they see it every year. But that doesn’t stop Larry from his whining and complaining and basically just being a poor robin – very much the perfect feathered victim. Finally though, Larry finds a bird who will listen to him. An ostrich named Jay. Jay who constantly had his head in the sand fell for Larry’s story and he started strutting around on his toothpick legs upsetting all the other birds with Larry’s rants without asking anyone else what was going on. So the other birds said, “We don’t need this.” And they left. They started their slow journey back north, since winter was nearing its end. This upset Larry even more and he abandoned Jay, who stuck his head back in the sand. All the other birds, were truly enjoying each others company. They stopped a couple of days in Georgia, then found a beautiful pond in South Carolina. By then Larry had caught up with them and tried to fit in with everybody and told them, “I’m not Larry… I’m Sally.” But they knew Larry well enough by now that he couldn’t con them any longer. Larry waited around in his new home… cold from the snow and winds and no other birds arrived… they new better and listened to each other and they just sat in South Carolina enjoying each others company. Once again, Larry had to move on… he couldn’t go south because no other birds wanted him around. Though they probably would have welcomed him if he just made amends for his behavior. But Larry couldn’t do that… he would rather freeze to death then do that. So when you see your first robin this spring… think of Larry from Whiteford, Maine and don’t get to excited because that bird will be long gone by the time you realize all the damage he had done….